Hyundai recently highlighted its achievement of fingerprint access technology for cars at the recent launch of the 2019 Santa Fe at the Guangzhou International Automobile Exhibition. Though this technology is commonly used in the case of headphones, Hyundai is the first car manufacturer to develop this technology for cars. According to a report in The Korea Herald, Hyundai will be offering the technology on its new crossover SUV in the Chinese market. The new Santa Fe has fingerprint scanners in the door handles and on the ignition button for easy access. 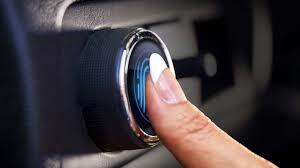 Hyundai is not the first automaker to use fingerprint scanner for starting the car, but it is definitely the first car manufacturer to use the technology in door handles. Other car manufacturers have been leery about the use of fingerprint technology due to security and durability concerns. It is clear tha the door handles incorporating the technology should be able to withstand extremely high and low temperatures, snow and rain. Hyundai said the fingerprint reader has a 1 in 50,000 chance of failing and it uses human capacitance to get best quality fingerprint. The scanner essentially reads electricity levels in other parts of the finger to prevent forged entry. It is possible for multiple people to register their fingerprints for access to the same car, and the vehicle can adjust various elements based on the fingerprint. Once the fingerprint is scanned, the car will automatically move the seats and mirrors to suit the driver the vehicle has recognized.